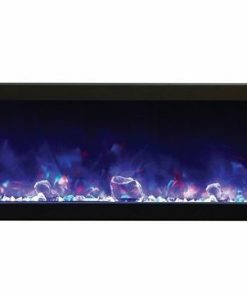 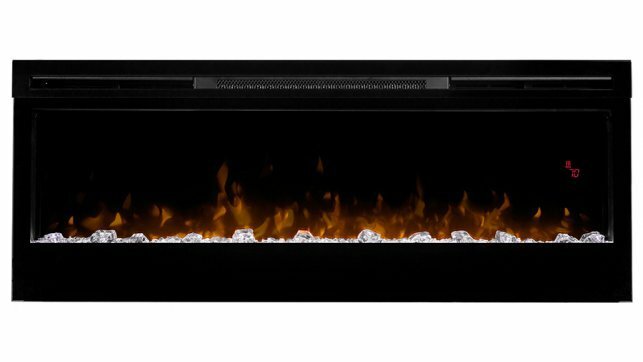 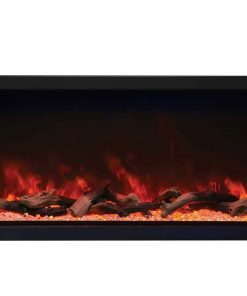 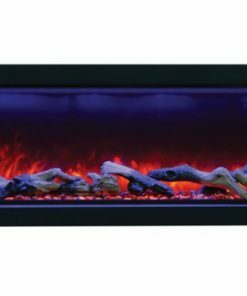 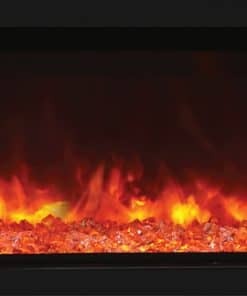 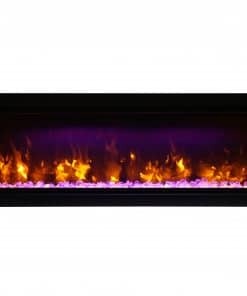 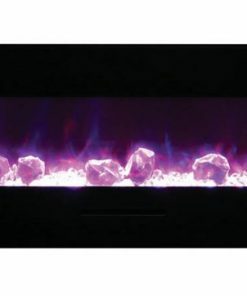 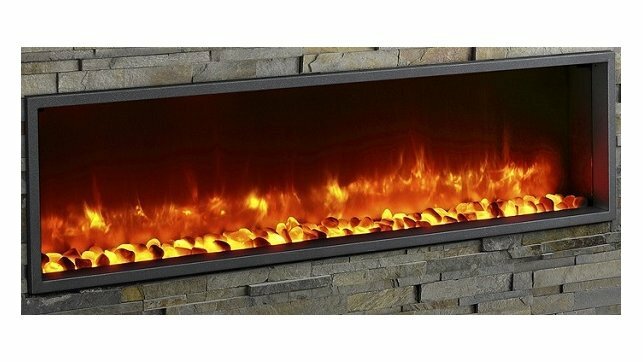 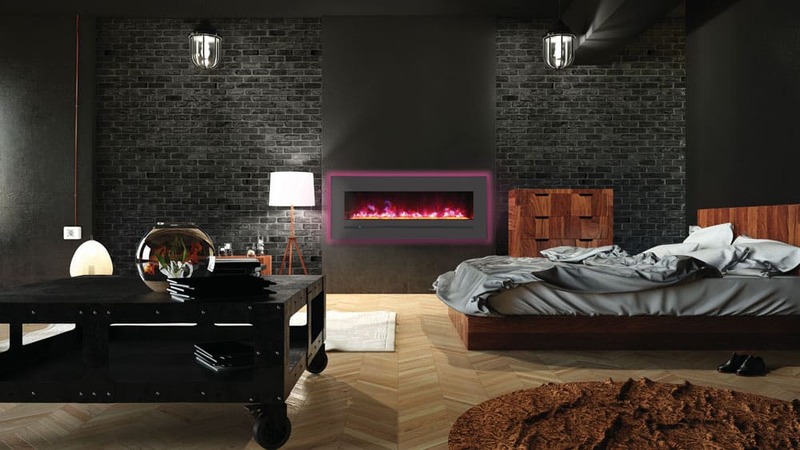 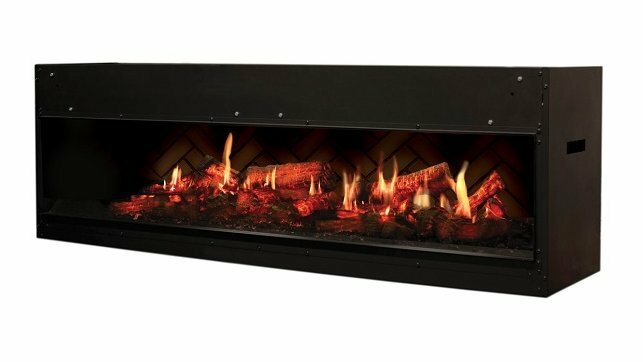 Instantly update any room in your home with the Napoleon Allure Phantom 50″ Electric Fireplace. 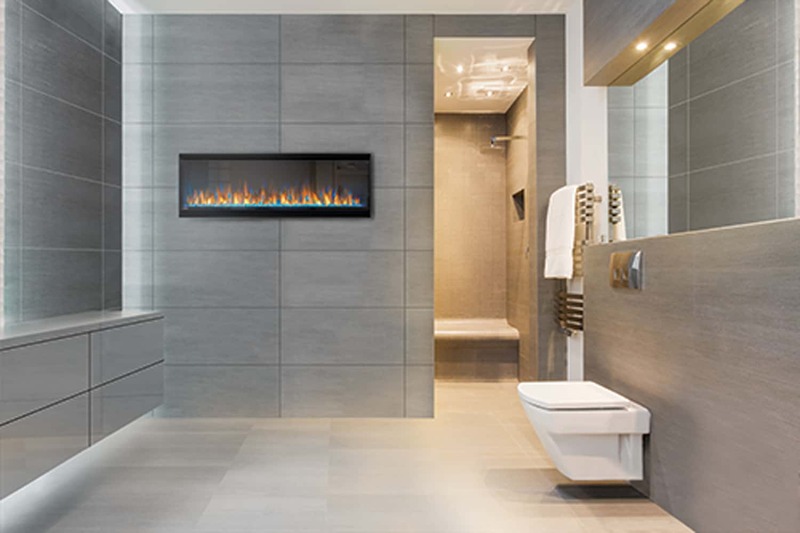 No gas fitter necessary — just hang it like a work of art, plug it in, and enjoy. 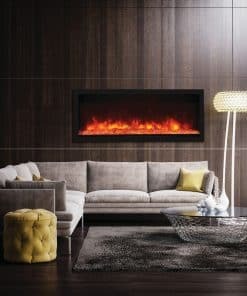 It will warm spaces of 400 sq. 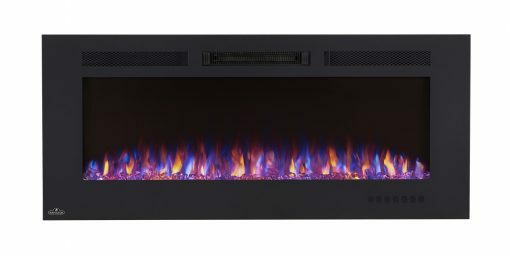 ft. with 5,000 BTU’s. 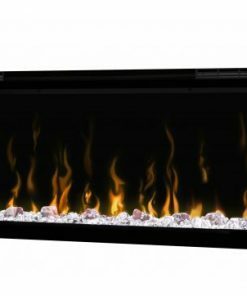 Enjoy a view of flames unhampered by reflections or glare thanks to the matte surround and mesh front on the Napoleon Allure Phantom 50″ fireplace. 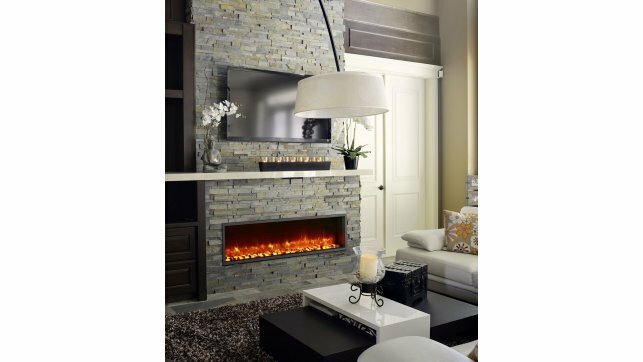 Master the flame color and height with the included remote — orange or blue, and even a lovely combination of both to set the mood perfectly. 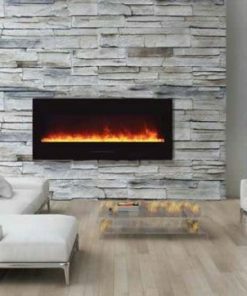 At 5” deep, the Napoleon Allure Phantom 50-inch won’t intrude into your space, but transforms it, adding the luxury of a fireplace anywhere. 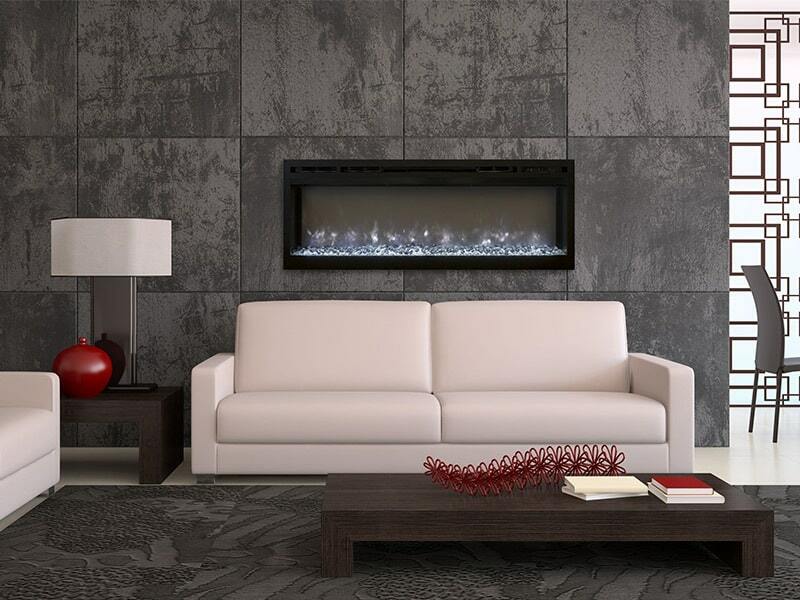 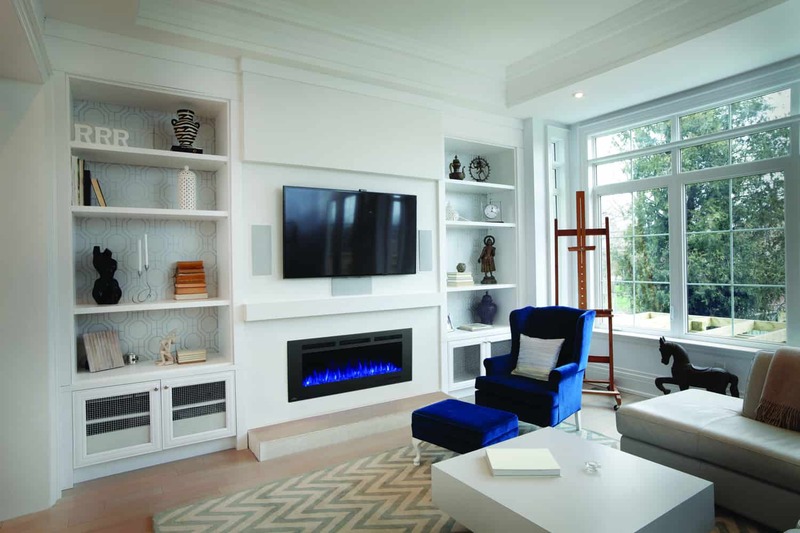 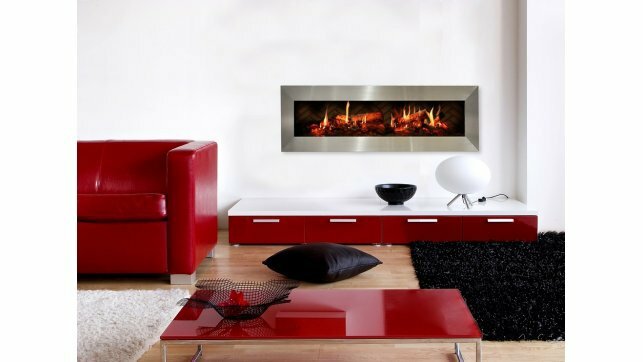 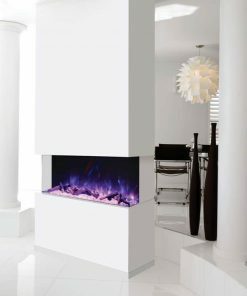 The Napoleon Allure Phantom 50″ Electric Fireplace can also be fully recessed for an even more low profile look. 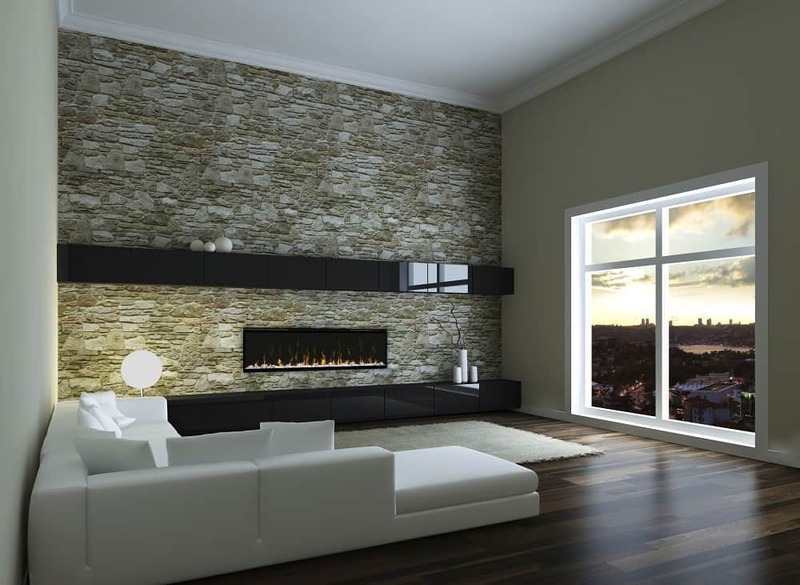 Matte surround and mesh trim front eliminates reflections. 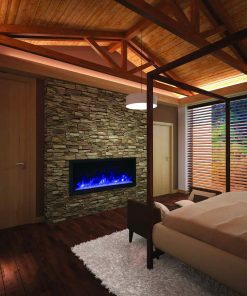 Can be fully recessed into the wall for a flush appearance or easily hang on the wall with a built-in bracket. 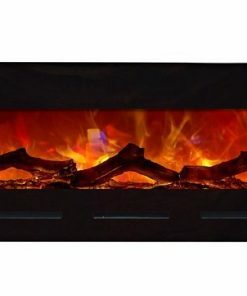 Paintable cord cover included (covers cord and can be painted to blend in with existing décor). 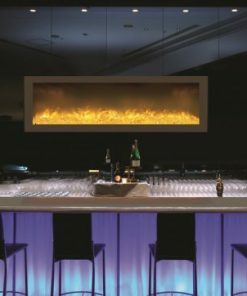 High intensity LED lights provide day or night intensity and require no servicing. 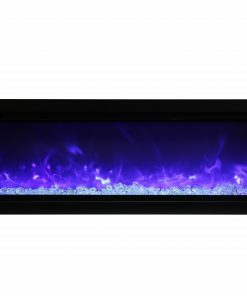 On screen controls dim after 10 seconds disappearing completely off screen. 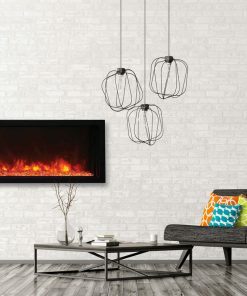 Simply plugs into a 120V wall outlet or can be hard wired. 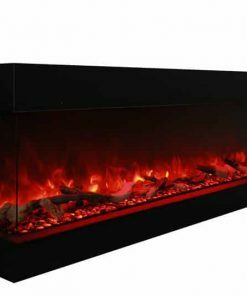 Features front vents within the sleek design. 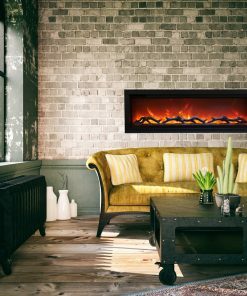 Ultra slim design, 5″ depth makes it one of the slimmest wall mounts in the industry. 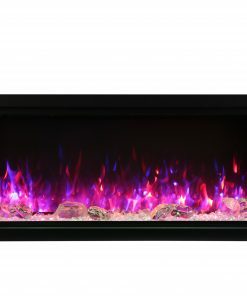 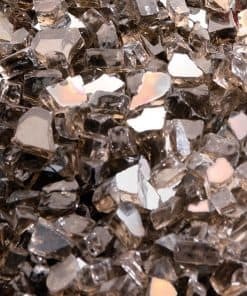 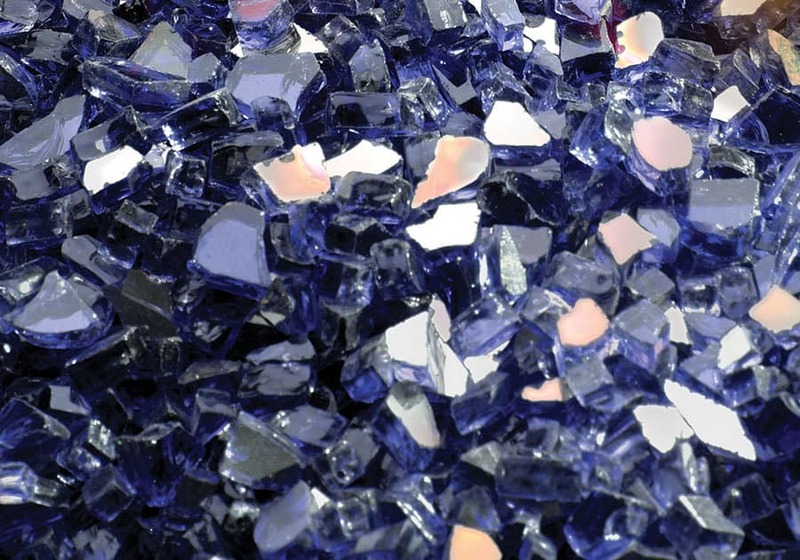 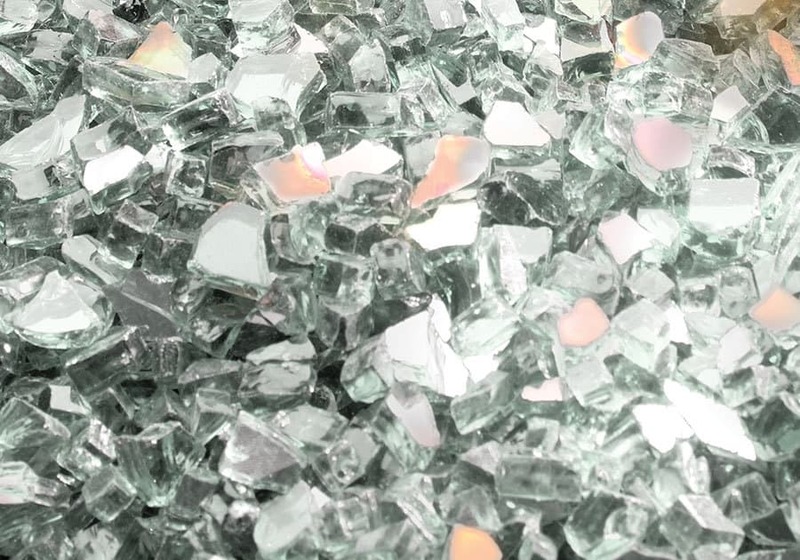 Crystal clear cube ember bed accents the flame. 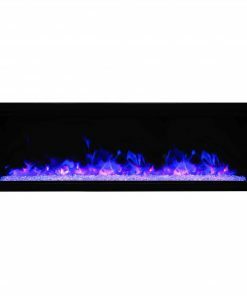 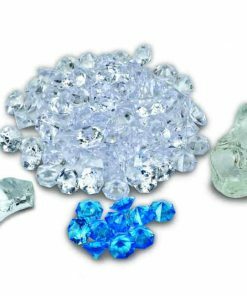 Feature the option of both blue or orange flame, or a combination of both. 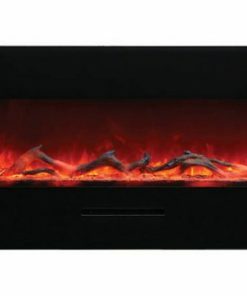 Convenient remote control (controls flame intensity, flame color option, blower, heat output and timer). 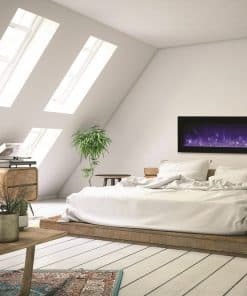 Easy access manual on/off switch.